Devastating! Awesome! 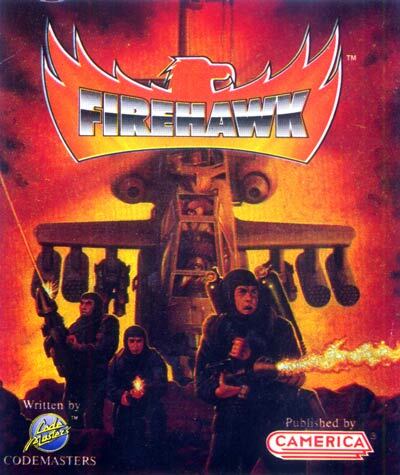 Experience the power of the mighty Firehawk helicopter gunship in this ultimate action game! Use skill to pilot the Firehawk through seven daring missions to pick up your troops from enemy-infested islands! The opposition is tough and intelligent; with air, ground and sea defenses. Destroy gunboats, jet fighters and tanks. Battle with enemy troops armed to the teeth with lethal weapons! Engage Firehawk's advanced weaponry systems and make the most of the 32 different styles of firepower! Super fast 360 degree scrolling and land, sea and air mission scenarios - the action's just non-stop in Firehawk!